This is a friendly reminder that not everything we eat needs to offer nutritional value. Not everything we eat needs to be “healthy”. 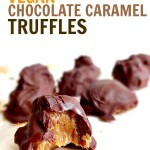 I believe it’s healthier to indulge when appropriate, rather than restrict. I know my blog is all about promoting kale and broccoli and nourishing plant foods, but there is wiggle room for indulgences too. Just felt inclined to share that. 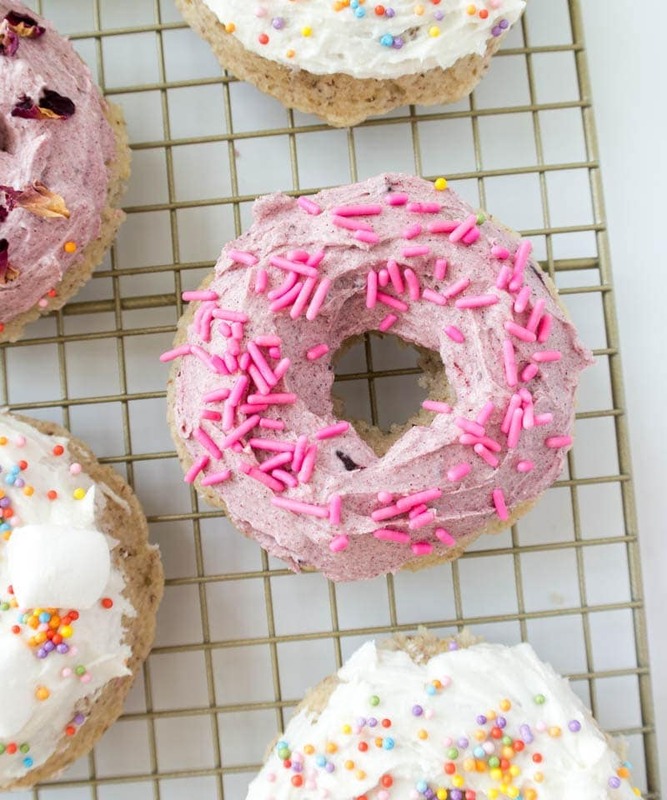 How adorable are these ‘Baked Vegan Cake Donuts’ though?! I had so much fun frosting and decorating these little cuties. 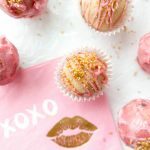 I knew I wanted to share something sweet for V-Day with you, but felt like so many bloggers have already shared truffles and brownies and the like, so I went with fluffy donuts! First, can we talk about how easy and quick these came together?! I was actually surprised, and I’m not just saying that. Don’t know why, but I thought donuts would be harder to make. So basically, anyone can make these. 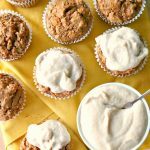 And only 9 ingredients that you probably have on hand (except maybe for the store-bought frosting – but I provide a glaze recipe, so don’t worry). Also, here is the donut pan I used, in case you need to pick one up! 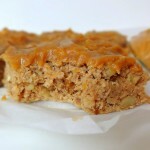 Also, they really do taste like cake! 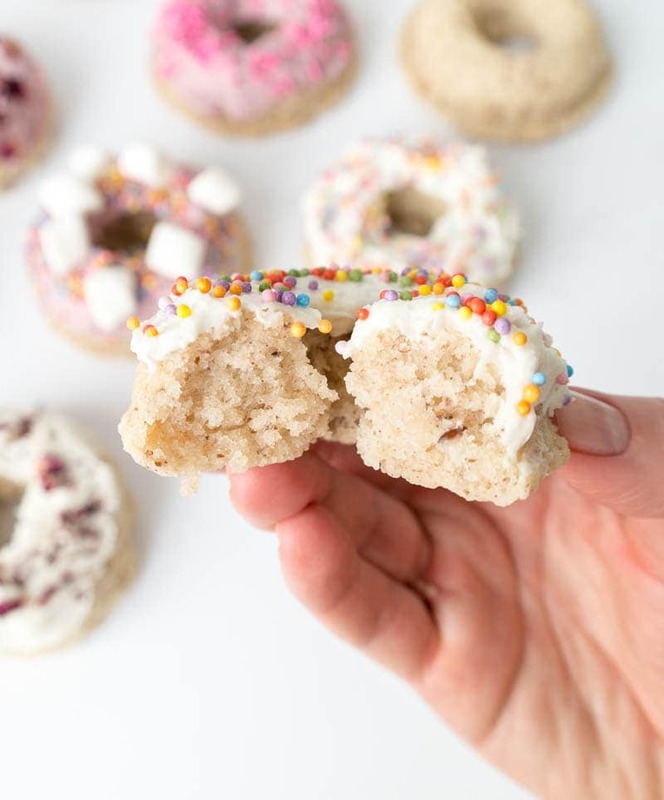 I’m not usually a cake or cupcake person, but these donuts remind me of vanilla cake – in a good way. I thought about making a glaze but honestly, it sounded like too much extra work… plus I had frosting from Miss Jones Baking Co. on hand that I wanted to use. The glaze recipe is easy though, so if that’s more your style, go for it. 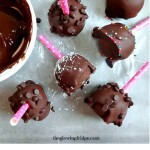 Don’t forget the sprinkles and/or vegan marshmallows. I also sprinkled mine with edible rose petals, just for fun, but I’m well aware that is super #extra, and not everyone has edible rose petals lying around. To tint the frosting I stirred in some beet powder, thinking it would transform to a beautiful pastel pink. Instead, it turned light purple. Who knows!! I’m cool with purple too. Here is some natural food coloring though. Fresh beet or pomegranate juice probably would have worked better. I’m obsessed with these donuts and see myself whipping them up on Sunday mornings, with all the Coconut Adaptogenic Mushroom Lattes. YUMM! Hope you have fun with these and tag me in your pictures so I can see your creations! 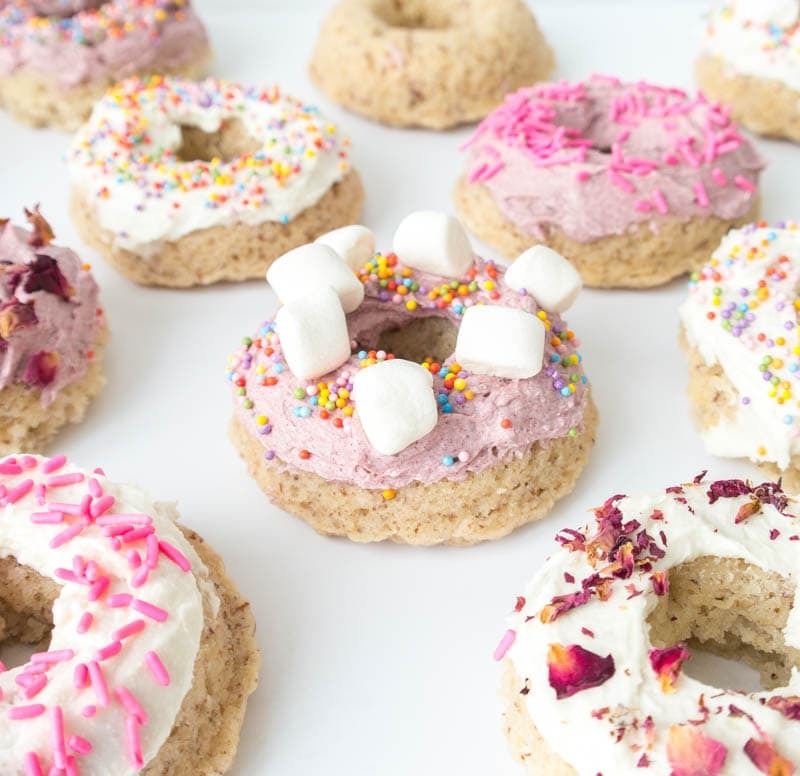 Baked Vegan Cake Donuts. 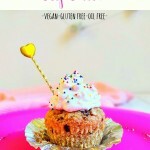 Fluffy, only 9 simple ingredients with a glaze or frosting option! 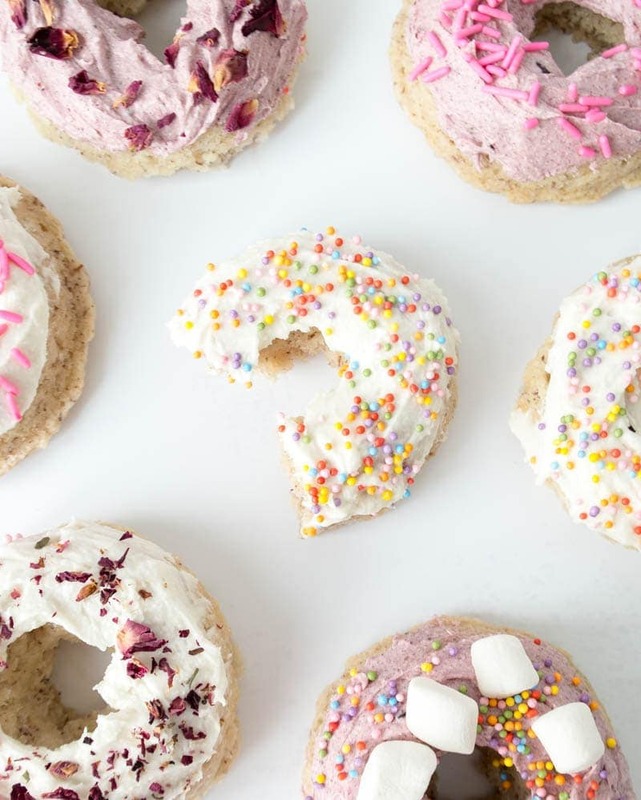 These yummy donuts come together quickly and are easy enough that anyone can make them! Preheat oven to 350 degrees F. Lightly grease a donut pan. In a small bowl, stir the flax and water together, and set aside for 10 minutes, to create a flax “egg”. In a separate, smaller sized bowl, combine the coconut milk and apple cider vinegar and set aside to make a vegan “buttermilk”. Melt the coconut oil and pour into the dry ingredients, along with the vanilla, flax “egg” and “buttermilk” mixture. Stir together until well combined. Spoon mixture into the donut pan and bake for 12-15 minutes, or until a toothpick comes out clean. Use the store-bought frosting or make the glaze (it’s quick!). Then glaze/frost your donuts and decorate with sprinkles and/or marshmallows. These are great! I even spaced the coconut oil in the microwave and it still worked!